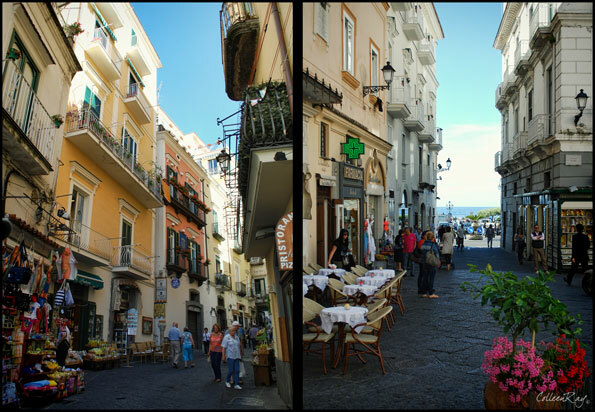 Our port was Naples, but our destination was the Amalfi Coast and then a visit to the ruins of Pompeii. 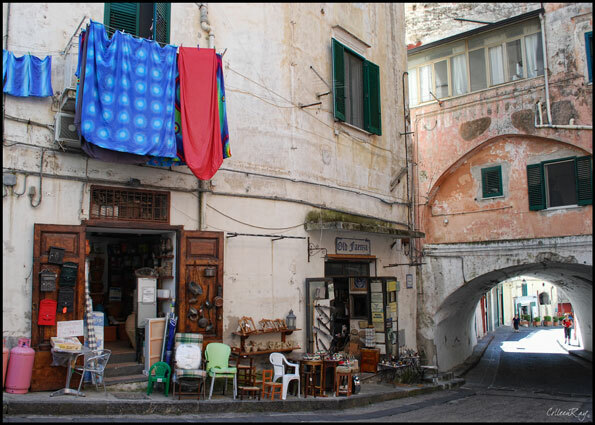 We had two options - we could do a road trip on the narrow winding road that runs from village to village or we could do a boat trip along the coastline. We opted for a taking a cruise on our cruise. What can we say...we're water people! It turned out to be the perfect option as the roadway was clogged with stop and go traffic but the sea was, well, clear sailing. It also gave us an up close view of the sheer, rocky shoreline and the rugged mountains that form the backdrop for this world famous stretch of coastline. 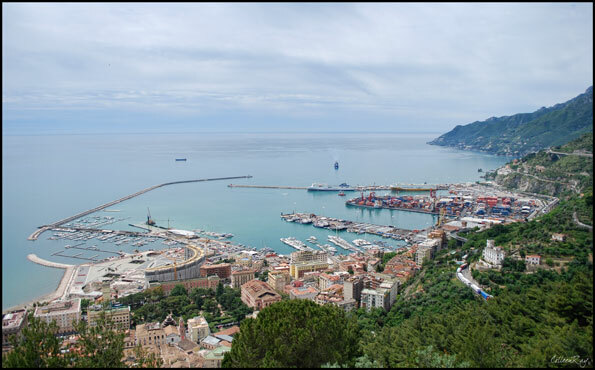 We departed from the busy seaside port in Salerno and traveled west to the village of Amalfi. ....but there are plenty of expensive pleasure boats docked there too. Groves of olive trees are terraced up the mountainside. Elegant estates and remnants of fortifications dot the coastline. A picture perfect day on the water. A more modern home takes advantage of an old fortification for its foundation. The valleys and mountains create stunning backdrops for the coast. 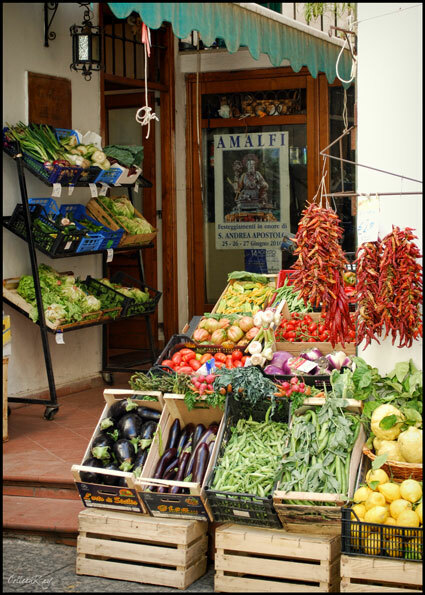 The little port at Amalfi. large tour buses in mind and their hair raising driving maneuvers are legendary. is believed to house the remains of St. Andrew. 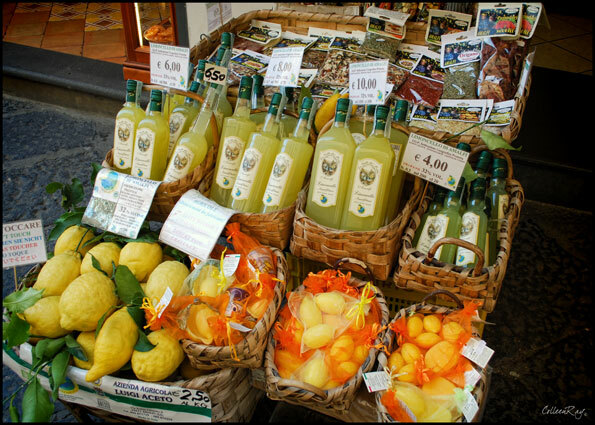 ...but it is the Limoncello liquor that really sells. a traditional village if one is willing to take a stroll beyond the waterfront. 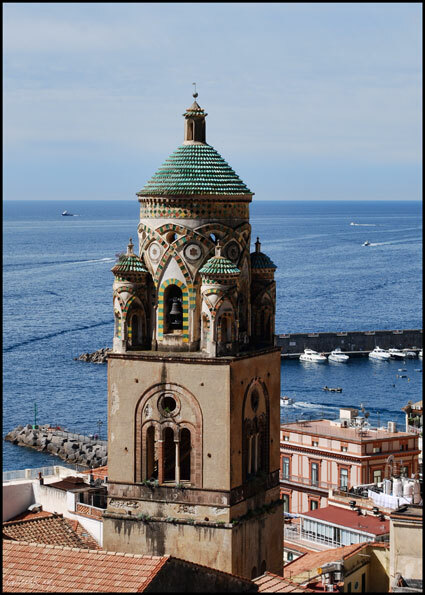 combine into what Rick Steve's cheekily describes as "Amalfi Romanesque." Next post, we'll continue our visit to Naples with a tour of Pompeii.